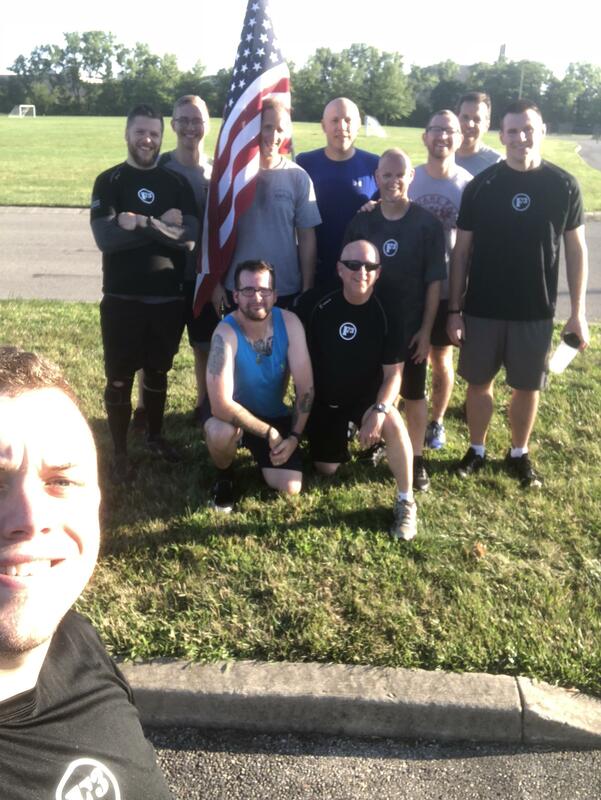 PAX ran two laps, as a group, around track at AO Falcon Hill for warm up run. In groups of three (one group of two), pax conducted three Buddy Lover rotations ( one rotation = one HIIT Drill, and two Strength and Conditioning exercises; 3 HIIT and 6 S+C X’s in total). S+ C X’s consisted of Upper Body: Push ups and Over Head Arm Clap. Lower Body: Air Squat and In place lunges. Core: Flutter Kick and Freddy Mercury’s. HIIT was a sprint of long sides of track and jog of short sides. Plank until F3 Dayton Complete in all. 1/2 Mile cool down run interrupted by close lightening strike. Preblast for new AO this Friday! 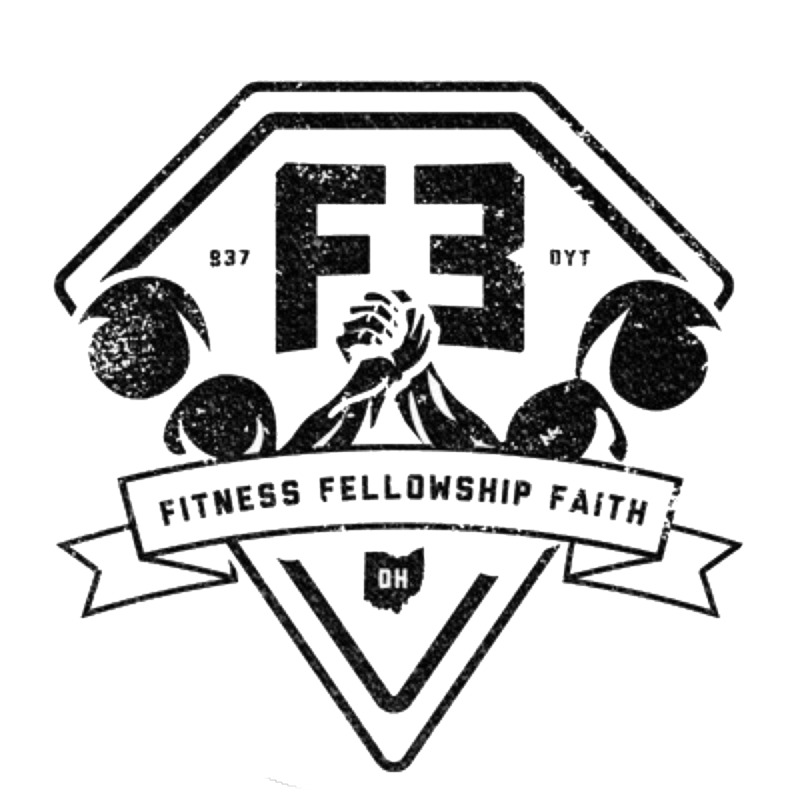 With the upcoming 2018 F3 Nation IronPax Challenge, a CrossFit open style fitness challenge to find the strongest, fastest, most well-rounded ax across the entire F3 Nation, F3 Dayton is pleased to announce the opening of our New Friday Morning AO starting this Friday, August 3, 2018, 5:30 am at Epiphany Lutheran Church’s Austin Campus parking lot and fields (10551 Sheehan Road Dayton, OH 45458). This week we will be taking on the Pre-Season Workout, followed by each of the competition workouts during the next four weeks. After the competition is over, the AO will convert to a weighted workout AO, where having your coupon for good livin’ isn’t optional. We look forward to seeing you in the Gloom this Friday! Pax: Bungee, Cub Scout, Faucet, Floater, Heater, Orville, Pop Corn, Sox, The Dude, FNG (James Ketterman), and an Honorable Mention to Zebra who had to depart early due to Zebra duties. Plain vanilla Indian Run the long way around the track, only 1 rotation. (This was by design. Wilson, being the workout Q, didn’t want to be the six all the time….). Rotate through each station, rinse, repeat four reps. Circled up on the lawn. From a plank position, passed around a weight around the circle, right, left. SSH Tabata – 20 seconds on, 10 seconds rest, cycle 8 times, 4 minute total. Tabata HIIT Mashup – Tabata timed, 1. Merkins; 2. Mountain Climbers; 3. Air Squats; 4. Lunges. Five minutes of various stretches. PAX – Bear, Firedrill, Pepper, Bonedaddy, Mercury, Brody, Bert Macklin FBI. •	BEAR CRAWL TO POINT – DRAG BLOCK ALONG THE WAY. •	SEATED PUSH BACKWARDS – DRAG BLOCK ALONG THE WAY. Summers and picnics go together. Pot luck picnics are always fun. There’s always the guessing of who’s going to show up and what will they bring. There’s always such a variety. Wilson, The Old Guy (Tog), will be at the Q at the F3 7:00 a.m. workout Saturday at Delco Park. He promises there will be a great variety. But it will be no picnic.